…..for your ability to take naps like they were interval workouts. My peak napping moment came between the 4 x 100 finals on Saturday where if it wasn’t for the roar that accompanied the Chinese team being announced, I would have missed the race entirely…..
…….for soldiering through the week and doing your best to hide your fatigue from coworkers, classmates or friends. Because “I’m exhausted cause I was up watching a track meet,” wasn’t a believable excuse anyway. My wife is due with our first child at the end of September. One piece advice I hear from all my friends as the days tick down is to get as much as sleep as possible now. It’s not so much advice as it is a plea. Enjoy it, they say…..your life is about to become one disjointed dream state filled with diapers and coffee. But I ignored my friends last week because I wanted to watch the World Championships. I convinced myself the early wake-ups were a form of training for when my son does arrive. In essence, I was being a good father by watching track, stumbling half-awake through the majority of the day and then passing out at 9:00 p.m. I learned to appreciate 4:00 a.m. like I never have before and probably never will again. Sure I threw away one the last “normal” weeks of my life for the foreseeable future, but at least the track gods fulfilled us with a phenomenal meet. If I didn’t watch the races live, I wouldn’t have believed some of the results. The unpredictability lasted all the way through the final day of racing on Sunday–long enough for the results to even start to counter truths that were established earlier in the meet. I did daily recaps for the first seven days. For today, I’ll focus on the events of Saturday and Sunday and look at some of the broader trends of the meet. Usually, I award medals for performances of the week, but in this case there were actual medals given out in Beijing so instead I recapped the week using 15 nouns. I came away from these championships marveling more at Usain Bolt’s mental abilities than his physical gifts. He had a terrible season up until Beijing and yet still managed to run with confidence. They say professional athletes have doubts like everyone else. That doesn’t appear to apply to Bolt. If it does, he is able to compartmentalize them to such a degree to where the past really has no impact on his present mindset. Bolt made Justin Gatlin wilt in the final strides of the 100m. His winning time of 9.79 shouldn’t have been fast enough to win, but it was because Gatlin couldn’t put on his best race with Bolt two lanes over. The 200m was a thorough defeat, much more convincing than the 100m, though Gatlin should have had the edge there too. Bolt’s last 200m before the World Championships was that 20 second disaster in New York. That had no lingering effects apparently. And there was the 4 x 100. The Americans probably would have lost regardless, but I’m sure hearing Bolt’s footsteps coming on the inside had some impact as they tried, and failed, to complete the last exchange. Bolt’s times weren’t special by his standards, especially in the 100m. We can be revisionist and say that Bolt never should have been doubted. But that would have required ignoring not just his entire season up until the World Championships (and Justin Gatlin’s as well), but also discounting Bolt’s own successful lead-ups in year’s past. He’s never looked this vulnerable and yet, the result was still the same three gold medals. The US keep their 4 x 100m lineups the same from the prelim to the final. I’m assuming this lack of turnover was an attempt to ensure there was no surprises in the final with new personnel. They also did it out of necessity. Without Tori Bowie (who was left out of the relay pool because she missed a mandatory team camp) the Americans didn’t have many other combinations. The disadvantage to this approach is fatigue. Not just because you are racing the 4 x 100m twice on one day, but because of the accumulation of races over the past week. All of the American men had run the 100m prelims, semifinals and finals. Gatlin did that for the 200m as well. Jamaica went the other direction and swapped in fresh legs on both the men’s and women’s teams. I don’t know if that made a significant difference, but the US was thoroughly beaten in both races. Justin Gatlin looked tired and all four women’s legs were at, or behind, their Jamaican counterparts. In the women’s 4 x 400m, there were a couple confusing decisions. One, not to run Phyllis Francis in Sunday’s final after she made the individual event final earlier in the meet. Relays splits are an inexact science, but her opening leg in the heats ended up being two tenths faster than Sanya Richards-Ross’s in the final. Running Allyson Felix third instead of at the anchor also was strange and became even more baffling after Felix ran a 47.72 split and looked intent on running 46 seconds if it meant getting her to the line first. The victorious men’s team had their fastest runner Lashawn Merritt run last as he held off Trinidad and Tobago, Great Britain and Jamaica. Relay order aside, the American women had a tough task against Jamaica. Jamaica’s depth in the 400m was actually better than it was in the 100m and 200m. They finished 3-4-5-6 in the open 400m, while the US finished first and seventh. The men’s 4 x 400m relay was America’s only men’s gold medal on the track. The United States finished with 18 total medals and six golds. That is their lowest gold medal tally in World Championship history. Their struggle throughout the meet was a combination of problems. They had seven fourth-place finishes, which is great for team points, but not as good when you are really only being evaluated on your ability to finish in the top three. By my count they had three key disqualifications (Ronnie Ash, Kendra Harrison and the men’s 4 x 100m), three falls/equipment malfunctions (Alysia Montano, Dawn Harper Nelson and Jenny Simpson) and some untimely injuries. The bad breaks seemed to snowball for the United States. If the women’s 10,000 happened on the last day instead of the second, Molly Huddle would have raised her hands just before the finish, knocked over a hard charging Emily Infeld sending them to the ground while Sally Kipyego hopped over both of them and took the bronze medal for Kenya. So what will be the response to the lowest medal total since 2003? Not much probably. Outside of the relays, there is no centralized control in American track and field. The majority of the athletes have their own coach and training system, independent of the national team. As a result, the governing body gets too much credit when the medal total is high and too much blame when it is low. There won’t be any massive changes because of this performance because there really are no changes to make. If you thought the US underperformed, allow me to introduce you to my friend, Russia. They won four medals total. 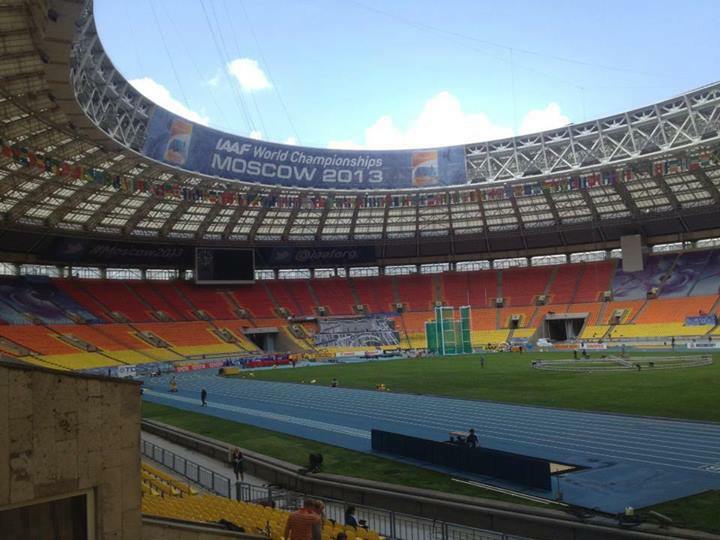 Two in the women’s high jump, Sergey Shubenkov in the 110m hurdles and Denis Kudryavtsev in the 400m hurdles. How does that compare to recent World Championships? Looking at those numbers, I’d say this year is an outlier. The commentators on the broadcast I was watching made a few references to Russia’s struggle noting that they were missing many key athletes for these championships. Any connection that their lack of medals and the ongoing doping investigations/revelations is solely coincidental. The enduring moment of the meet will be this surreal scene when the most transcendent athlete in the sport collided with the world’s stupidest piece of technology. The US accumulated the most medals overall, but Kenya and Jamaica won the most golds, seven apiece. To get to that number, Kenya relied on some unlikely sources. Nicholas Bett won the 400m hurdles and Julius Yego was victorious in the javelin. Jamaica stayed pretty much in familiar territory, but did get a bronze in the men’s shot put and outperformed the US in the women’s 100 hurdles and 4 x 400m. It’s strange to think that the US had a better output from the women’s 10,000 than the women’s 200m, 800m and 1500m combined. -Evan Jager will be the second American in the steeplechase. -Ajee Wilson won’t compete and there will still people two people who beat Eunice Sum. -Jamaica-Germany-Belarus will go 1-2-3 in the women’s 100 hurdles. -Genzebe Dibaba will finished behind two people in the 5000m. The only world record of the meet came in the decathlon where Ashton Eaton narrowly broke his own mark and scored 9,045 points over the ten events. I appreciate Eaton’s use of the dramatic as he was again faced with a tough 1500m time to hit in order to set the record. He needed 4:18 and some change and he ended up running 4:17 after a very fast last lap. 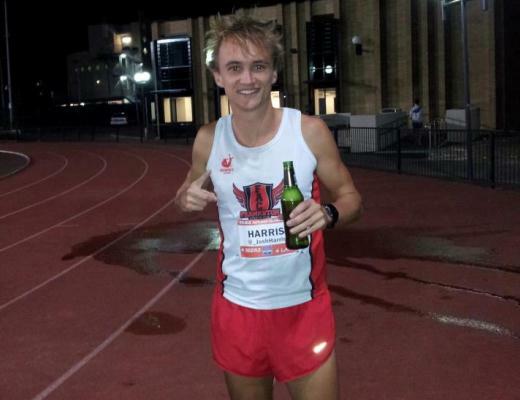 The record attempt was on after he ran 45.00 in the 400m. That was a lifetime best for him and the fastest ever in a decathlon. We’d be amazed at the the fact that his time would have put him seventh in the regular 400m final, but Eaton’s crossover success is nothing new. -Wayde Van Niekerk’s 43.48 in the 400m. Lashawn Merritt’s lifetime best of 43.65 was only good enough for second. Kirani James also broke 44 seconds for the fastest 1-2-3 in history. -Allyson Felix’s 47.72 split in the 4 x 400m. -Ashton Eaton’s 45.00 400m in the decathlon. This track was very friendly for the 400m runners. -Christian Taylor’s 18.21m triple jump, the second best all-time and only eight centimeters from the world record. -Dafne Schippers and Elaine Thompson running 21.63 and 21.66 in the 200. Those are the fourth and fifth fastest marks of all-time. -Genzebe Dibaba’s 1:57 split in the last two laps of the 1500m. That was faster than the winning time of the women’s 800m. 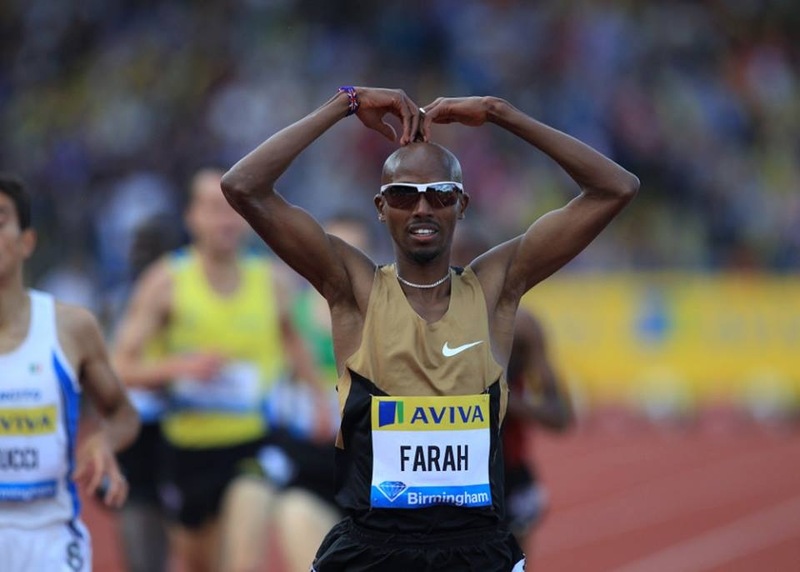 -Mo Farah’s 2:19.20 last 1000m in the 5000m. The beginning of the race was slow, but still a final lap of 52.6 with a 600m wind up is pretty useful. Mo Farah keeps teaching the same lesson and nobody seems willing to hear it. Right now there is one strategy to beat him. Wait until he gets older and slows down. A more spirited run spearheaded by the Kenyans and Ethiopians in the 5000m would make for a more entertaining race, but like the 10,000m proved, it ends the same way. Farah sticks with the pack. He sprints. He wins. Farah’s rivals have only bad options. Caleb Ndiku hinted that he had a secret strategy to beat Farah after the prelims of the 5000m. He kept it a secret probably because it wasn’t really a strategy as much as a hail mary. The best bad idea Ndiku came up with was to push the pace with 800m remaining in the 5000m. It turns out Farah can also do that. Right now, beating Farah is an unsolvable equation. When he eventually does get beat it will won’t be because someone outsmarted him or had some masterful tactical plan. It will be because the runner is just better. There was no better illustration of the current state of the men’s 5000m than Mo Farah jogging off to the outside of the track to grab water during the early laps of the final. Was he dehydrated, bored, or just curious if anyone would react when they saw him running sideways? Nobody did attempt to push the pace and try to catch Farah napping, which is also very telling about the rest of the field and their deference to the best runner in the world. Credit Farah for actually running 5010m in this one. Everyone likes watching David Rudisha run. His arm position and long stride make him look like he’s a stock image used for the cover of a running shoe magazine that screams THIS IS WHAT A RUNNER IS SUPPOSED TO LOOK LIKE. Even if he were jogging ten minute miles, he would appear as if he’s on world record pace. On the occasions when he loses or slows down he never manages to break form. When he went through the first 400m of the 800m final in 54 seconds, it didn’t look too much different than his usual 50-second first lap forays. Everyone was lined up behind him, so what was the difference? The race did represent a shift in Rudisha’s approach to the race. He ran controlled and kept the field at bay. Different runners took a shot at him, but Rudisha deflected all of the challenges. The slower early pace allowed him to have enough power away down the homestretch. It wasn’t a world record or a season’s best, but it was exactly what Rudisha needed to win the race. Would it have worked if Nijel Amos was in the race? This season’s results indicate probably not, but Amos went out in the semifinals after Rudisha used a similar strategy. In both rounds, Rudisha took what he does best, lead, and adapted it to his current ability level. He didn’t try to race his old self. He wasn’t so naive to think he is the same runner as he was in the 2012. Amidst the disappointing US loss in the women’s 4 x 400m was the incomprehensible 47.72 split from Allyson Felix on the third leg. It was the third fastest recorded split ever. I wasn’t around to see the two ahead of her on the list so to me this was best relay leg I’ve seen in my life. She liquidated a two second Jamaican lead and handed off almost a half second ahead. The only thing that would have made it better was if she was on anchor leg. The woman she ran down was Stephenie Ann McPherson split 50.19 but had to have felt like she ran 59 the way Felix flew past her on the homestretch. Felix’s 49.26 win in the individual race was spectacular, a personal best and enough for a dominant win. If you’ve followed Felix over the last few years, you had to think more was there. But I don’t think anyone foresaw a 47.72. Relays pull the greatness out of runners. It forces them into deficits and backs them into corners they don’t otherwise see in their individual events. Felix has run most of her career out in front, but the chasing brought the best out in her. We knew Dafne Schippers and Wayde Van Niekerk were capable of winning gold, but how would the 23-year-olds fare when they faced serious expectations for the first time in their career? Schippers was known at the beginning of the year as a heptathlete who occasionally sprinted really fast. Van Niekerk, well I don’t really think anybody knew him outside of South Africa. Both came away with breakthroughs at the World Championships. Schippers won gold and silver in the 200m and 100m and her 200m was one of the best all-time. Van Niekerk entered the top tier of 400m runners, one whose inhabitants include Michael Johnson and Jeremy Wariner. Victories were definite possibilities for these two, but I don’t think anyone foresaw that they would jump into the top five all-time list so quickly. The pressure will surely ramp up next year for the Olympics. Schippers will have to contend with Elaine Thompson (who she beat by just .03 in Beijing) again and presumably Allyson Felix and Shelly-Ann Fraser Pryce. Van Niekerk towed Lashawn Merritt and Kirani James to fast times and there is every indication that those two aren’t going away before Rio. Even though he is just 23, father time works quickly in the 400m so next year might be his best chance for a gold before the next guy in his early 20s starts blitzing 400s. 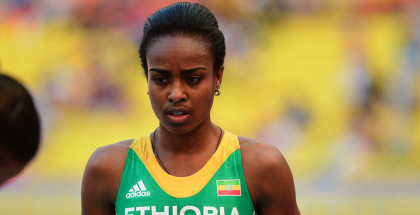 Genzebe Dibaba’s 1500/5000m double was wiped out on the last day with a incredible last 3000m by Almaz Ayana. Ayana had a faster personal best entering the meet than Dibaba, but after Dibaba’s run in the 1500m and her earlier victory over Ayana in the 5000m this season, I thought this race was going to Dibaba. The first 2000m was modest and then Ayana just ran Dibaba into the ground. She ran the last 3000m in 8:19 and finish in 14:26, winning by over 17 seconds. Dibaba was passed for second place by Senbere Terefi and ran 14:44. Let’s go back to that 8:19 split. That is Ayana’s fastest time for 3000m. Only five women in history have broken 8:20 in a 3000m. Four are Chinese and one is Genzebe Dibaba. 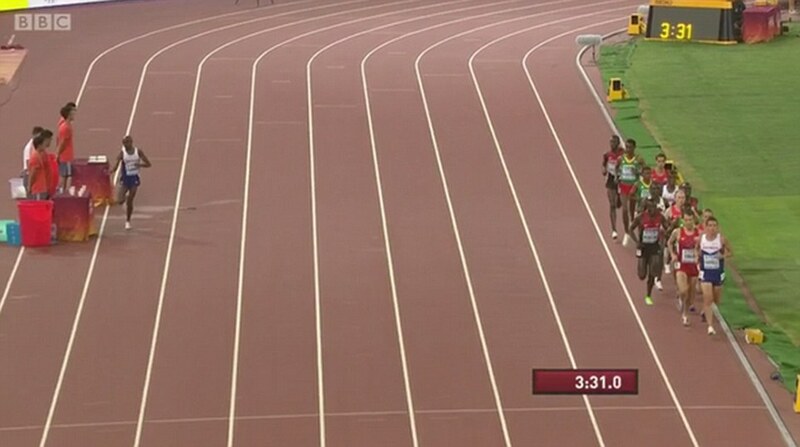 If it looked like Dibaba was lost and confused when Ayana kept accelerating it was for good reason. So Dibaba ends up winning gold in the event that she added last minute, the 1500m, and third in the event that she was favored to win all season. Makes sense. -If Usain Bolt survived this year, I like his chances next year. His closest rivals are either too old or too young and Yohan Blake seems to have lost his mojo. -Don’t bury their American mid-distance/distance runners. Emma Coburn and Evan Jager could be just a year away in the steeplechase. The depth in the women’s 800m and 1500m isn’t going anywhere. Matthew Centrowitz is still young and Galen Rupp did well to finish fifth in both of his races. -Women’s heptathlon will be fun with Katarina Johnson-Thompson trying to rebound from her back luck foul in the long jump. Jessica Ennis-Hill will be waiting and presumably even healthier than she was this year. -World records…..well of course Ashton Eaton again. Can Christian Taylor and Pedro Pablo Pichardo push each other to get into the 18.30s in the triple jump? How about the men’s 400m? That looked untouchable for so long, but now Van Niekerk put it in range. -Who doubles? Does Dibaba attempt the 1500/5000 again or does she cede the ground to Ayana? Maybe she switches up and tries the 800/1500. Who do I pay to switch the schedule so Felix can run both the 200m and the 400m? Let’s put the 5000m and 10,000m on consecutive days to make it more difficult for Mo Farah.